← Have you ever seen a Camaro ZL1 table lamp with pink and baby blue? Posted on January 8, 2014, in Chevrolet Camaro ZL1, Chevrolet Camaro ZL1, Premium shirts, prints, mugs, caps, etc. - Quality Guaranteed, Vagabond's Rose Publishing and tagged Lamp-In-A-Box. 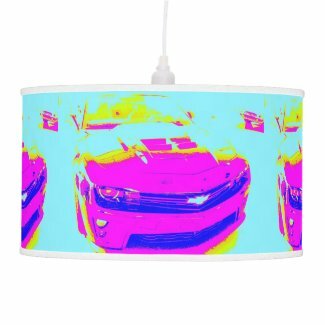 Customize the shade with original artwork, or bold graphics, or linen lamp shades- Printed in vibrant color with fade resistant ink., photography, Pink Chevrolet Camaro ZL1 Hanging Pendant Lamp, polyester, rice paper. Bookmark the permalink. Leave a comment.